It is important to remember that the proposed contents shown in this Brief should be treated as a guide, and not as a rigid, all-encompassing format - each business is unique and its plan should reflect as much; additions, deletions, expansion, and adjustments should be made to fit each unique situation. A plan for use in applying for a bank loan may require more in-depth data than one prepared for the owner’s guidance. The plan should be updated frequently to reflect revised scenarios as market conditions change, as company strategies evolve, and as projections are surpassed or not reached. Focus: The plan should be clear as to the products or services to be developed and markets to be addressed by the business. If the company plans to develop a widget and sell it General Motors or the grocery store down the street, make sure you detail how it’s to be done. Avoid unsubstantiated superlatives: The "trust me" school of thought doesn't work in business plans. If your product is going to be the best in the market, thoroughly describe why. Quantity does not equal quality: The well written plan is succinct and to the point. 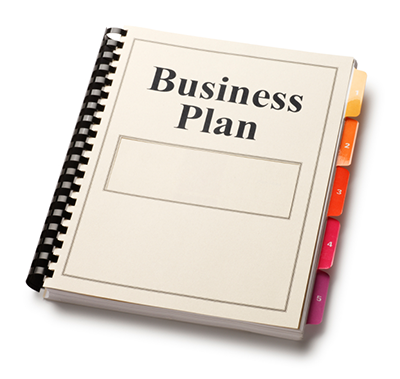 The typical plan should be able to say it all in 30 to 50 pages, or fewer if appropriate. First impressions are lasting impressions: Incorrect spelling, grammar, punctuation; numbers that don't total; a poorly organized plan; all can add up to sink a proposal that might otherwise float. Take the time to have the plan proofread by several other members of your team. "Slick" plans can be a turnoff: Expensively prepared plans are often perceived as form over substance and frivolous spending. Don't waste scarce financial resources on a too-professional document. Avoid the use of non-assertive language: Qualifying words such as "might," Probably," "perhaps," and the like can have a subtly negative effect on readers. Be positive. The non-disclosure agreement states that the information in the plan is proprietary and is not to be shared, copied, disclosed, or otherwise compromised. A control number can be used to cross-reference the plan to a journal kept by the entrepreneur (i.e., copy 14 issued to Jake Johns on September 10, 2007). Control numbering is not critical, but does help keep track of issued plans. Identify business, name, address, phone and FAX numbers, E-mail address and web page identification. Include name of owner, owner-to-be, preparer, and date. If submitting for a loan, this could take the form of a business letter personalized to each lender, spelling out the reason for, and the amount requested. Each section of your unique plan should be clearly identified and the pages numbered. Is it proprietary?/ Are there other entry barriers? At what stage is its development? Current size - what market share can the company establish? How complete is the team? Financing sought: how much and for what purpose? This will carry the company how far? An important part of this section is to clearly define your business concept. This would include whether your business involves a product, service or combination; its uniqueness; the anticipated size of the business, and the geographical area intended to be served. If the business has a history, it should be stated. Describe the type of customers you are targeting. Note any patents or copyrights. This definition is important because all the sections of the plan will depend on how you defined the business. Whether you have a manufacturing facility, retail firm, or a service business, there is a typical cycle to the operations that should be listed. Describe the facility you will need for the business—its location, size, necessary equipment, accessibility, zoning, and any other special requirements. Do you intend to own or lease it and its equipment? List the suppliers you will need. Where is the market going and why? What are the economic trends? What is the maturity of the market, growth stage, or level? Products in the market: What is available? How many suppliers are there? Who is buying? Who are the end users? Why are they buying? What are they looking for? On what factors are buy decisions being made? Natural splits; geographic, industries, volume vs. unit buyers, etc. Market distribution: How are products delivered to buyers? The better you know your competition, the better you'll be able to plan around them (and the more you'll impress potential investors). Existing competitors’ product brochures and web sites. After a thorough description of the market, this section should cover, in depth, how you plan to get products or services to your buyers and what strategies you'll use to help accomplish that task. Why should customers buy a new product or service from an unproven company? Pricing strategy: high, medium or low relative to market? Why? Warranty policies: standard or non-standard? High quality and low price may not appear to make sense ....if they do in your case, explain why). Note: If you use reps, what kind of incentives will you use to get them to know and push your products/services? Is it a highly technical product/service requiring skilled sales people? At what level in the buyers' organizations will sales be made? Should senior management in your company participate directly in the sales effort to establish company and product/service credibility? How will you compensate sales efforts-- commissions (payable on order or receipt of payment), bonuses, salary increases? 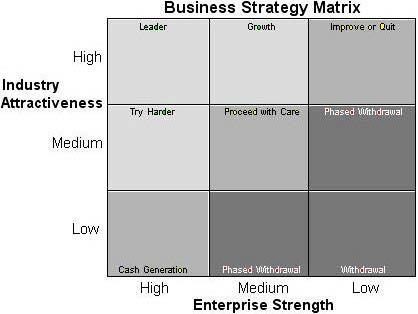 A strategic matrix can be helpful in selecting your strategy. See Appendix description below. Provide a detailed description of existing products/services and plans for future products/services. Are they market -ready and, if not, how long until they will be? Differentiation from competition, services capabilities, strengths, and characteristics. .
Is your product/service ready to go to market, or is some research or development required? If R&D is required, what is needed, what must be done, how long will it take, what resources are required, how will you get them, what financing is required, and how do you plan to get it? List important, measurable goals and milestones for your business, both short and long term. Explain the ultimate destination for your company and how you plan to achieve it. Be realistic and specific, including amounts (such as level of sales or profit),quantities (such as units to be manufactured or sold, employees added, new locations opened, market penetration, diversification) and dates for each (and for key milestones such as signing the lease, completing leasehold improvements, ordering initial stock, hiring employees, initiating advertising, opening for business, etc.). Also indicate who is responsible for achieving each. Such specific milestones serve several purposes: they provide a visual check of the things to be done, they indicate the degree of planning to potential lenders, they provide measures to determine if things are going as planned and an orderly structure as the basis of re-planning. It is also worthwhile to identify key milestones which, if not met, signal the need to restructure or close the venture, before catastrophe. Pre-plan an exit strategy. While underlying detail should be available for further discussion, financial projections should include high- level figures, not line item detail, department by department. Present three to five-year projections, monthly for at least the first year (but not more than two) and quarterly or annually for the remaining years. Current and Historical Conditions: If the business has a history, financial statements (including profit and loss statements, balance sheets, changes in shareholders equity and cash flow statements) for the past three years should be listed. Past tax returns may also be required. Forecasts: A financial forecast is usually required to show the business’ ability to repay loans or investments. Generally, the first year should be shown by months, the second by quarters, and the third annually. The forecast should include profit and loss statements, balance sheets, changes in shareholders equity and cash flow statements. A list of key assumptions should also be included. Personal Financial Statement: A personal financial statement will be required of all owners if applying for financing. However it is important for the non-borrower to complete one in order to determine how much he can invest in the business. The statement itself can be placed in the appendix, but should support the investment cash shown in the Cash Flow Statement. If a loan application is involved, it may be desirable to consult with the lending institution to ask what they would require in the financial section of your plan. The Request For Financing: Describe the purpose of the loan and provide any additional supporting detail that may be helpful (by listing itemized start-up expenses, capital expenditures, etc.). Discuss method and timing of repayment. Accounting: Decide whether to use cash or accrual accounting procedures. The circle on the matrix represents your enterprise. The light-gray zone consists of the three cells in the upper left corner. If your enterprise falls in this zone you are in a favorable position with relatively attractive growth opportunities. This indicates a "green light" to invest in this product/service. The medium-gray zone consists of the three diagonal cells from the lower left to the upper right. A position in the yellow zone is viewed as having medium attractiveness. Management must therefore exercise caution when making additional investments in this product/service. The suggested strategy is to seek to maintain share rather than growing or reducing share. The dark-gray zone consists of the three cells in the lower right corner. A position in the red zone is not attractive. The suggested strategy is that management should begin to make plans to exit the industry.